Aspire Public Schools is a national K-12 school system focused on improving public education by preparing underserved students for college, training highly effective teachers and sharing innovative best practices. Enroll in an Aspire Bay Area school! 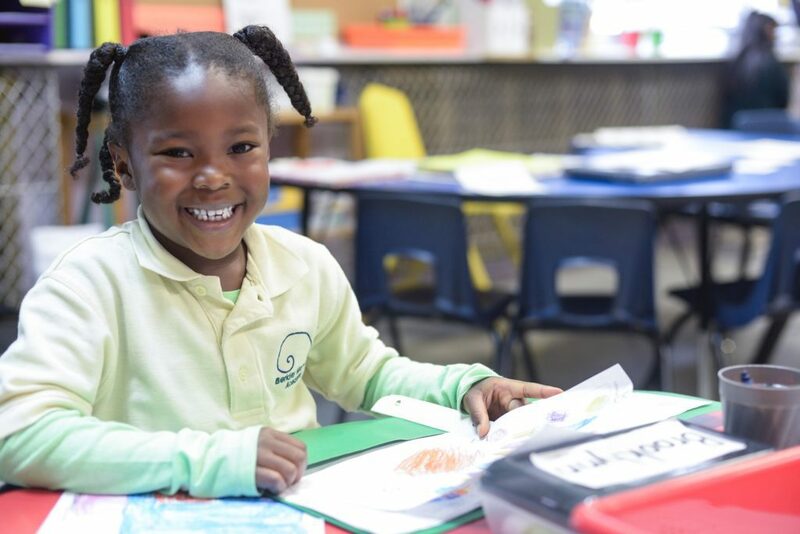 Learn more about applying to charter schools in each of the Aspire Bay Area cities: Oakland, Richmond, and East Palo Alto, CA. Aspire’s Oakland and Richmond schools are proud to participate in Enroll Oakland Charters and Enroll West Contra Costa Charters in an effort to improve enrollment opportunities across all of Oakland and West Contra Costa’s public schools. Open Enrollment officially launches November 5 for the 2019-2020 school year! Aspire is proud to partner with Enroll Oakland to help you choose the best Oakland public school – district and charter – for your child. Aspire Public Schools are public schools, free and open to all students. English language learners and students with disabilities are encouraged to apply. You can apply directly at enrolloak.schoolmint.net. If you’d like more information about the enrollment process and key dates, including school profiles, visit EnrollOak.org. The open enrollment application deadline for Aspire’s schools in Oakland for the 2019-2020 school year is February 8, 2019. Applications received by this deadline will be included in our lottery. On Thursday, March 14 you should see all your charter school lottery results (OFFER or WAITLIST) in your student dashboard and at that time you can ACCEPT/DECLINE an offer. The deadline to ACCEPT/DECLINE a charter school offer is April 2, 2019. If you do not accept by this date, the charter school lottery offer(s) will expire. Once you accept an offer, offers from other schools will be automatically declined. You can remain on waitlists but may only accept an offer at one school. If you miss the February 8, 2019 deadline, you will still be able to submit an online application for the 2019-2020 school year. Applications submitted after the February 8 deadline will be considered a Round 2 Application – you will be placed on a waiting list at each of your selected schools, and/or offered enrollment if space becomes available. Round 2 applicants will be placed on waitlists on a first-come, first-served basis. Open Enrollment officially launches October 1 for the 2019-2020 school year! Aspire is proud to partner with Enroll West Contra Costa to help you choose the best Richmond public school – district and charter – for your child. Aspire Public Schools are public schools, free and open to all students. English language learners and students with disabilities are encouraged to apply. You can apply directly at enrollwcc.schoolmint.net. If you’d like more information about the enrollment process and key dates, including school profiles, visit EnrollWCC.org. The open enrollment application deadline for Aspire’s schools in Richmond for the 2019-2020 school year is February 15, 2019. Applications received by this deadline will be included in our lottery. On Friday, March 8 you should see all your charter school lottery results (OFFER or WAITLIST) in your student dashboard and at that time you can ACCEPT/DECLINE an offer. The deadline to ACCEPT/DECLINE a charter school offer is March 29, 2019. If you do not accept by this date, the charter school lottery offer(s) will expire. Once you accept an offer, offers from other schools will be automatically declined. You can remain on waitlists but may only accept an offer at one school. If you miss the February 15, 2019 deadline, you will still be able to submit an online application for the 2019-2020 school year. Applications submitted after the February 15 deadline will be considered a Round 2 Application – you will be placed on a waiting list at each of your selected schools, and/or offered enrollment if space becomes available. Round 2 applicants will be placed on waitlists on a first-come, first-served basis. Open Enrollment officially launches October 1 for the 2019-2020 school year! Aspire Public Schools are public schools, free and open to all students. English language learners and students with disabilities are encouraged to apply. You can apply directly at aspire.schoolmint.net. If you’d like more information about the enrollment process and key dates, visit aspirepublicschools.org/enroll.